This flirty and fun necklace from Guess adds a touch of girly charm to your everyday look. 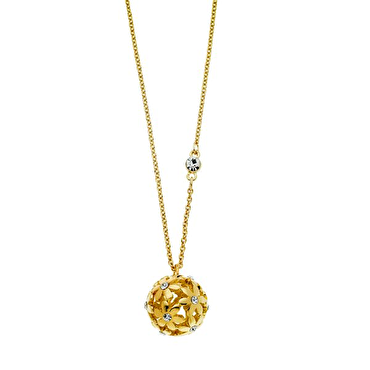 The ball pendant with cutout floral design hangs from a 24" chain. Made of mixed metal.